At last! I can finally show & tell! In 2013 I collaborated with Kohl’s Department Store & Food Network to paint some custom watercolors. 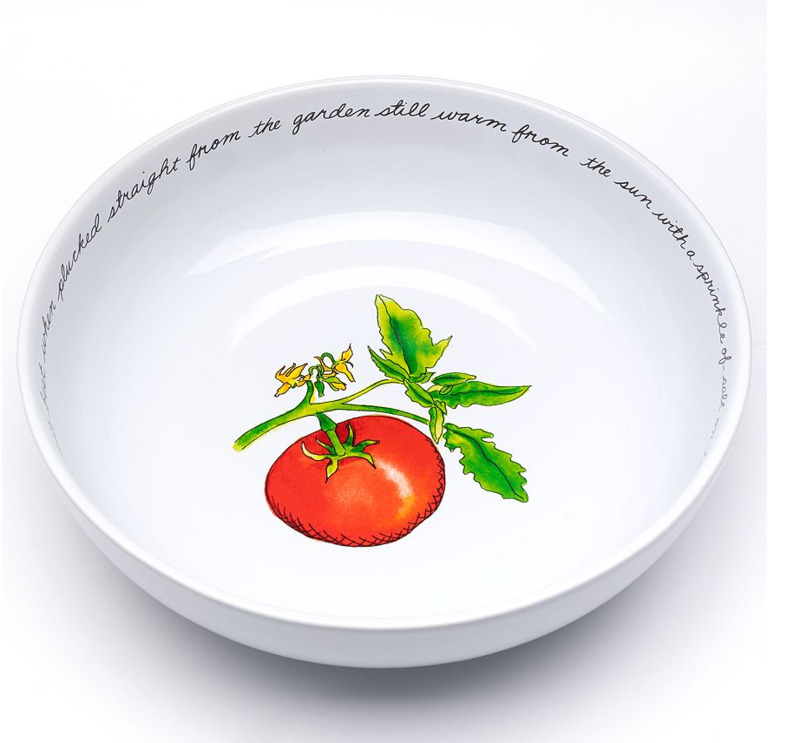 Those carrots, eggplants, tomatoes & artichokes have been transformed into Servingware. Kohl’s is selling online & in stores, plates, bowls & platters embellished with my paintings and handwriting! I am thrilled to be able to let this long kept secret out. Exciting!